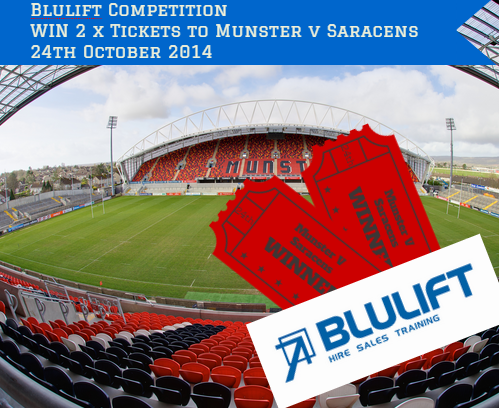 Blulift are Proud Supporters of Munster Rugby! Blulift > News > Blulift are Proud Supporters of Munster Rugby! Head over to our Facebook Page and Enter Competition to Win 2 x Tickets to Munster v Saracens in Thomond Park on Oct 24th! Competition closes 15th Oct. Best of Luck! !